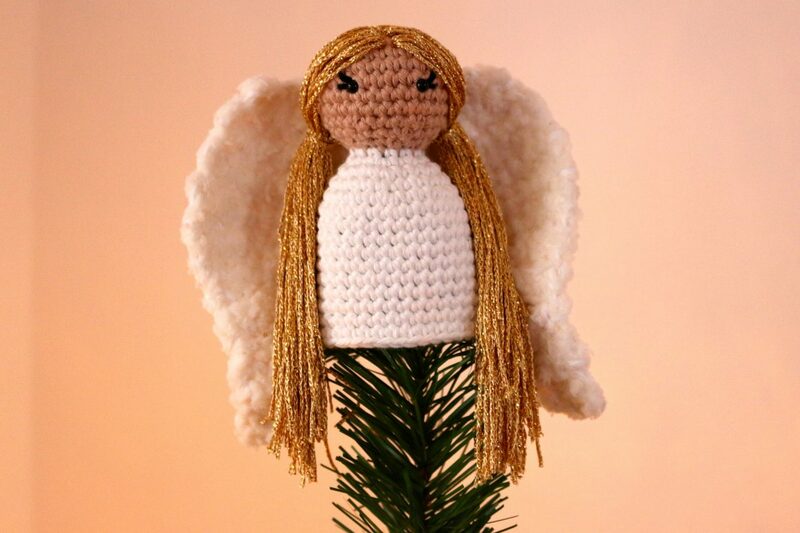 Make Anouk, crochet angel tree topper – She will add the finishing touch of Christmas magic to your tree! 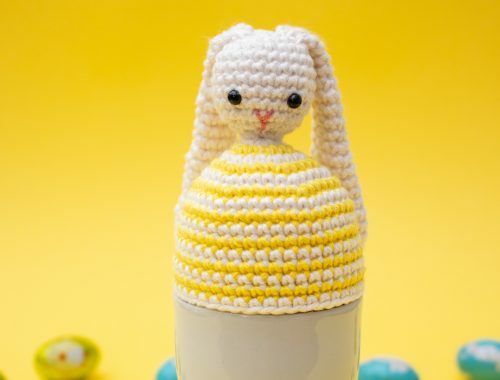 This is a fun little project to put you in a festive mood. 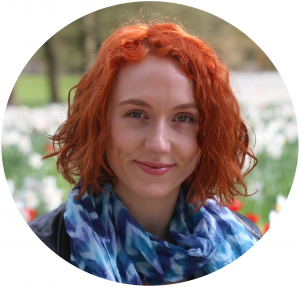 You can be playful and creative with her face, hair and dress. 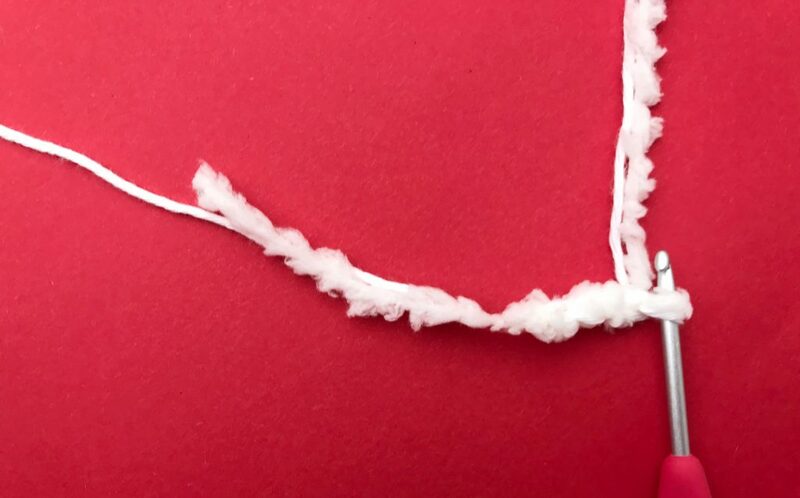 Secure your stitch with a stitch marker. Decide where you’d like the eyes to go. Embroider the eyelashes with black embroidery thread, attach the eyes. Cut the yarn you chose for the hair in approx. 30cm/12″ long strings. 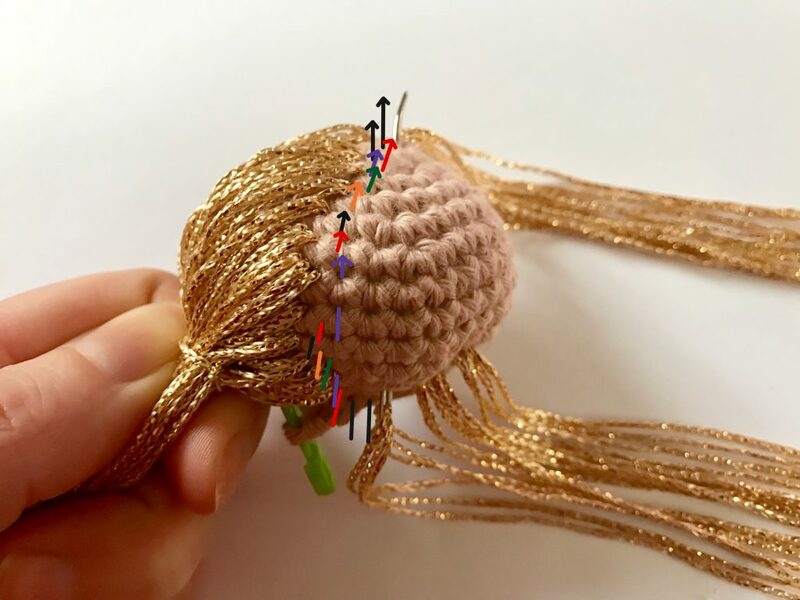 Thread your yarn needle with 3 strings at a time and attach them to the head as shown in the picture below. 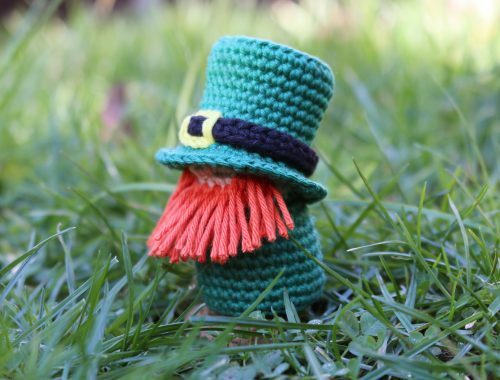 I used 4ply/ sport weight yarn for the hair. If your yarn is thicker 1 to 2 strings at a time will be enough. Of course you can attach and style the hair anyway you like. I gave my angel a middle parting and two ponytails. Before you continue with the body, fill the head with plenty of toy stuffing. 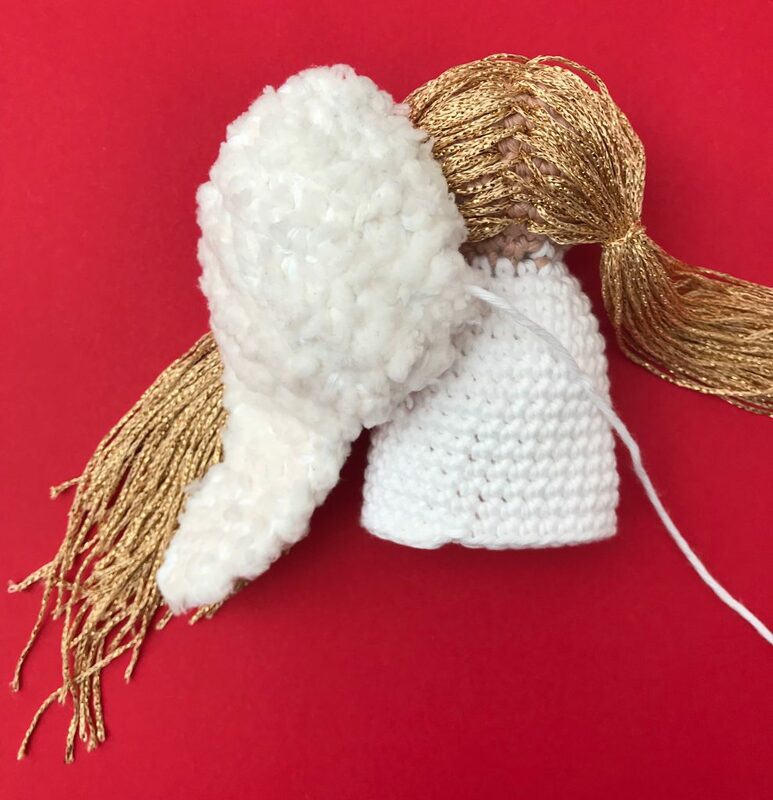 Crochet the wings with your white cotton yarn and fluffy yarn together as shown in the picture. 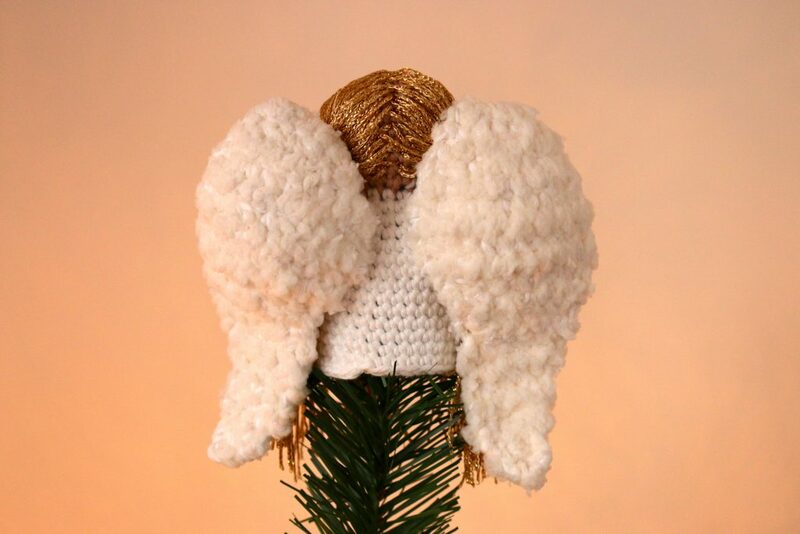 The cotton yarn will make it easier to see the stitches you made, and will make the wings more thick and sturdy. Break yarn, pull through. Sew in the ends at the tips of the wings. Then sew in the long ends towards the upper, inner middle of each wing, so they peak out exactly where you want to sew them onto the angel’s back. Firmly attach the wings sewing downwards a few stitches, and sewing back upwards again. Weave in the ends and hide them inside the body/dress. 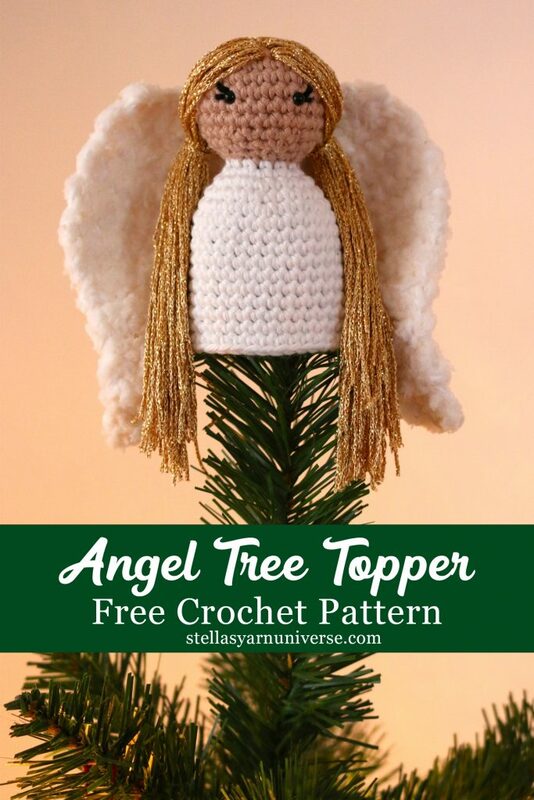 I hope you enjoyed crocheting your very own angel tree topper! I’d love to see him or her! 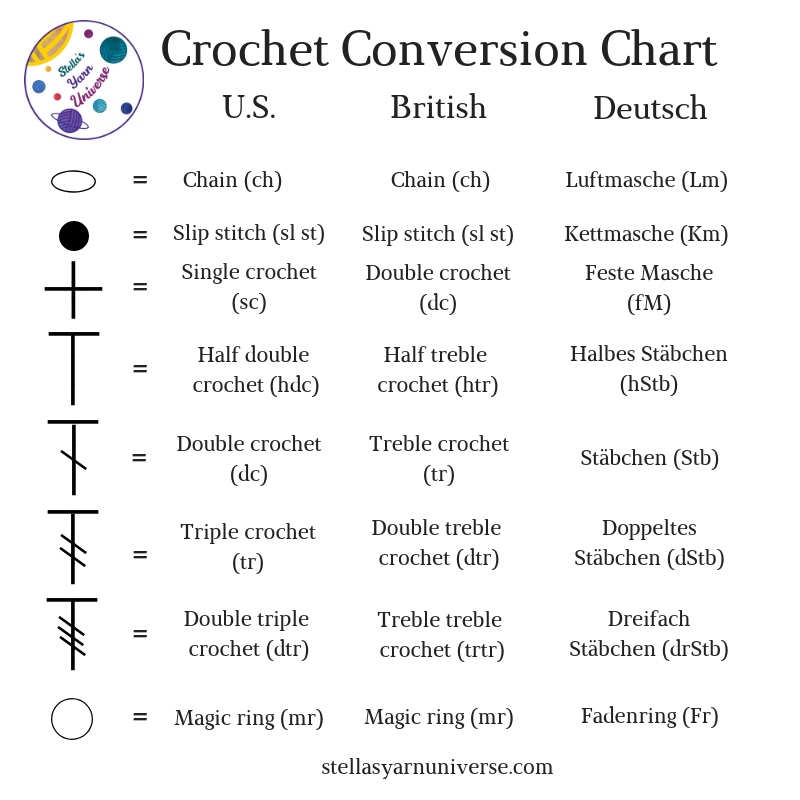 Share a photo and tag me with @stellasyarnuniverse on Facebook or Instagram for the monthly chance to win one of my paid crochet patterns. Please comment below should you have any questions. I’ll get back to you asap. 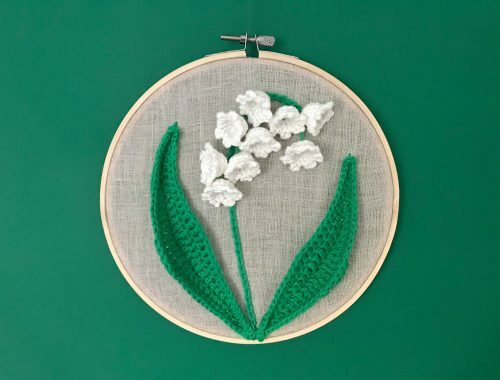 If you wanna make sure you never miss a new pattern release, follow me on Facebook, Instagram, or Pinterest.